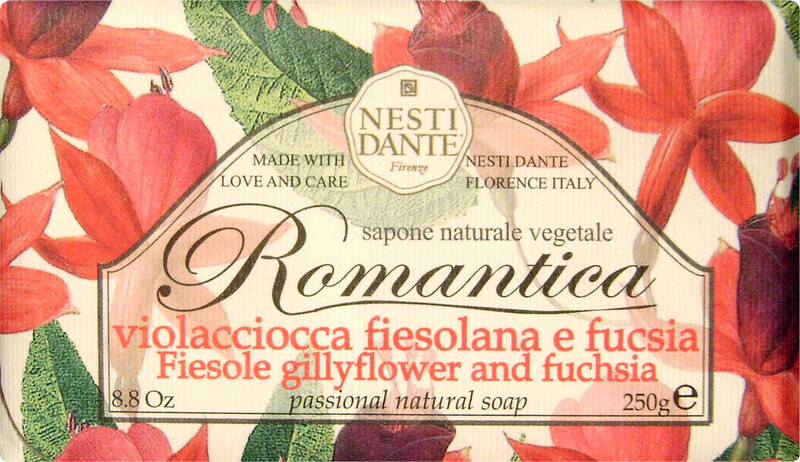 Experience the full passion behind the Nesti Dante Romantica Gillyflower and Fuchsia Soap, a powerful partnership of exotic nuances to ignite your inner sensuality. Inspired by Tuscany’s native bouquet of flowers, this hand-crafted purifier contains the finest level of ingredients to care and moisturise your skin. Enriched with a sumptuous level of care and respect for skin, whole neutral vegetable fats and raw materials pamper skin with their rich smoothing and softening formula. Your skin feels instantly cleansed and uplifted with this beautiful combination of sensual gillyflower and fuchsia.